Mike started his businesses with the absolute commitment to redefine the role of the employee benefits broker. True client advocacy requires the consultant to influence the entire benefits eco-system. As a result of his deep understanding and competence in the industry Mike has created, and successfully managed to profitability, 3 companies in the employee benefits space. Today, CBA is recognized as one of the largest and most progressive organizations of its kind in the country and currently manages the employee benefits programs for over 600 employers. His aggressive and effective approaches to cost stabilization are now being implemented by some of the largest consultants in the country. As CEO, Mike is presently overseeing the expansion of his businesses into Florida, North and South Carolina. He is also leading the strategic growth through acquisition initiative in New England and Florida. Mike is on a variety of insurance company and industry group advisory boards. A sought after speaker on employee benefits topics, he has been featured in the Boston Business Journal, Banker and Tradesman, Society from Human Resource Management (SRHM) publications and interviewed by various business radio shows including CNN Radio. Stu joined the organization in 2016. In his role, he is responsible for the overall administration of the company, including strategy, operations, finance, technology and service. Stu has over 20 years of experience as a senior executive for national benefits and medical management service organizations. He has managed enterprise software migrations, and led staffing, product and service development. This has included cycle time reduction with quality and productivity improvement, strategic account management, and the design and delivery of best-practice benefits programs for Fortune 500 companies. Prior to joining CBA, Stu held positions as the Chief Operating Officer of Benemax, Inc., Senior Vice President at Best Doctors, Director of Client Services with Aetna Student Health, and President of MCMC LLC (formerly CORE’s Peer Review Analysis), which he brought to national prominence. Stu received his Bachelor’s degree from Northeastern University, and his MBA from the Boston University Questrom School of Business. Dennis is a graduate of Bryant University and has over 30 years sales experience in the life and health insurance business. In the early 1980's Dennis spent the majority of his time working in the areas of life, health and disability insurance successfully making Leaders Conference and Million Dollar Round Table while representing a major mutual life insurance company. In the mid to late 1980's he earned the LUTCF designation and then taught several Business Insurance courses for the Rhode Island Life Underwriters Association, all the while continuing his own high personal sales production. For the past 20 years Dennis has turned his focus to the Employee Benefit Industry specializing in group medical, dental, life and disability insurance. He owned and operated Employee Benefits Unlimited in Fall River, MA which became Read Insurance & Financial Services Ltd. now located in Assonet, MA. During this time he has had affiliations with two well known benefit management companies furthering his education in Consumer Driven Health Care, Health Reimbursement Accounts (HRAs) and Health Savings Accounts (HSAs). Dennis has served on the Broker Advisory Board with United Healthcare and is currently a member of both the National and Massachusetts Association of Health Underwriters. His commitment to providing comprehensive benefit planning for both employers and employees will only be enhanced by joining the Partners Benefit Group Team. Steve has over 25 years experience in the employee benefits field and is a frequent speaker at Human Resource and financial executive groups with an emphasis on self-funded health insurance plans. Steve has helped many small to large companies’ transition through the constant changes in employee benefits. Clients view Steve as a "knowledgeable partner" in the employee benefits business. He realizes that each company's philosophy regarding benefits and cost vary greatly. By acting as an employee benefits partner, he custom designs feasibility reports that will illustrate benefit options to fit that company's individual needs. Mark has been part of the benefit industry since 1985. He was Vice President of Employee Benefits for one of the nation’s largest insurance agencies for 10 years. Prior to that, he was an Account Executive with one of the area’s largest health plans for five years. Previous experience also includes sales and underwriting of self-funded medical, dental, and disability plans. He specializes in Employee Benefit consulting and brokerage. Mark works closely with employers in the areas of benefit design, rate negotiation, and plan implementation. His services often allow business owners, CFOs, and Human Resources Directors to save significant amounts of time when reviewing options and to reduce costs. Mark has earned a certification designation in the area of Consumer Driven Health Care (CDHC) from the National Association of Health Underwriters. His range of expertise includes Health Care Reimbursement Accounts (HRAs), Health Savings Accounts (HSAs), and Section 125 Participating Funding Arrangements (PFAs). He has also been certified and licensed to offer employer sponsored plans through the Massachusetts Commonwealth Connector, as well all Massachusetts Purchasing Cooperative plans. A graduate of the University of Massachusetts at Amherst, Mark also holds a Certified Employee Benefit Specilaist (CEBS) Designation. He is a member of the Boston Chapter of CEBS, National & Massachusetts Association of Health Underwriters and New England Employee Benefit Council. Mark also serves on the Harvard Pilgrim Large Group Broker Advisory Board and MassAHU Legislative Committee, where he is often a guest speaker on benefit topics. Ford has been in the insurance and benefits business since 1970 representing his clients with their Employee Benefits, Personal & Corporate Property & Liability Insurance and individual Life, Disability & Long Term Care insurance needs. He has been associated with CBA since its inception as PBG and our agency services all of his employee benefit accounts. Ford has served as a member and Chair of the town of Dover Board of Selectmen, Finance Committee, Dover-Sherborn Regional School Committee and Dover-Sherborn $40m Regional School Building Committee. He is a current member of the Dover Board of Fire Engineers. He has served as a member of the Massachusetts Business Alliance for Education (MBAE). He is the former Chairman of the Minuteman Career & Technical High School Committee in Lexington, MA. He is currently the Chair of the Minuteman Building Committee and a member of the School Committee. Chris has been in the insurance and employee benefits business since 2001. He is focused on new business development, cost containment strategies and client relations. After working at Blue Cross Blue Shield of MA for over 7 years, he joined forces with our agency in 2008. Based on his extensive experience at BlueCross of MA and his knowledge in sales and underwriting, it has enabled him to show greater potential savings to clients and negotiate lower contracts. Chris’s expertise in the industry has enabled him and the agency to continue to take an innovative approach to the market place. He is a subject matter expert in health insurance contracts, high deductible plans and alternative funding options. Chris was born and raised in Shrewsbury MA and is still an active member in his community. Chris is a graduate of Westfield State University. He is a former participant of the Big Brother program and is an active member of the youth advisory committee for Youth Opportunities Upheld (YOU, Inc). He was recently selected to the board of directors for YOU, Inc.
Robert is currently the Chief Operating Officer for Members Insurance Agency, LLC and a partner at our firm. Robert works closely with our agency’s credit union clients providing advice and solutions for their employee benefits plans. Members Insurance Agency is a wholly-owned subsidiary of the Massachusetts, New Hampshire and Rhode Island Credit Union Leagues. Robert has served in that capacity for the past 17 years. Prior to taking over control of the Agency, Robert was a Vice President for the Massachusetts Credit Union League. As the Agency’s Chief Operating Officer, Robert is responsible for negotiating agreements with major insurance carriers and developing new programs on behalf of the member credit unions of the League. Robert obtained his undergraduate degree from Northeastern University and received his Masters Degree from Babson College. Robert lives in Wrentham, Massachusetts with his wife Carol and his two daughters and dog Buddy. Bruce joined our agency as Partner in January 2017. Bruce is the founder of The Corporate Benefits Group. He remains the health and welfare benefits specialist and works directly with many clients to develop and manage best solutions for their unique requirements. He maintains a constant pulse in the industry researching and studying benefit trends nationwide. A life long entrepreneur, Bruce owned and operated a food processing firm for 15 years prior to entering the benefits industry. That experience has proved invaluable working with and understanding the issues of closely held business owners. Bruce graduated from the Wharton School at the University of Pennsylvania with a degree in economics. He has earned the designations Registered Employee Benefits Consultant (REBC), Registered Health Underwriter (RHU) and Chartered Life Underwriter (CLU) from the American College. Kasey joined the agency in 2010. Kasey provides complete support to the Executive and Managements teams with scheduling all client meetings, handling service calls and acts as the contact liaison to the President and CEO of CBA for the Partners, client advocates and clients. Kasey also assists with human resource tasks as well as the day-to-day office administrative duties. In addition, Kasey prepares and organizes all seminars, licensing, educational webinars and assists with managing projects within the agency. 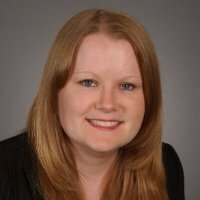 Kasey is a graduate of Bridgewater State College and has over 18 years experience in the employee benefits industry working on both the provider and brokerage side.